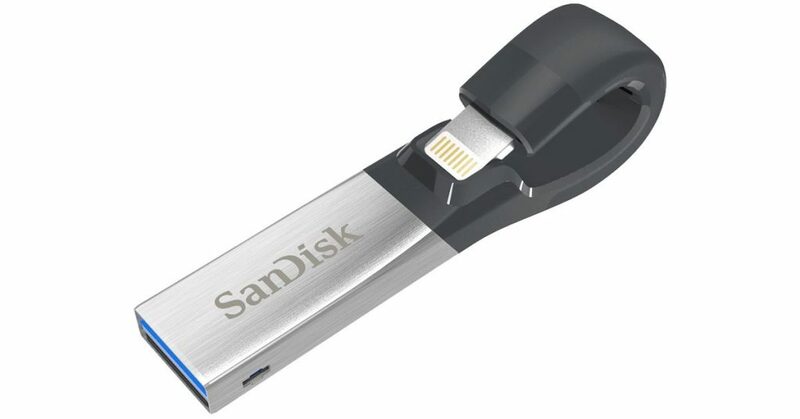 Amazon’s deal of the day discounts several storage options from SanDisk, Western Digital, and G-Technology, including high-performance SD cards, capacious flash drives, and affordable SSDs to speed up your desktop or laptop. A few favorites from the promotion include SanDisk’s Ultra SD cards, which are steeply discounted, bringing 128GB cards down to around $20. These have read speeds of 80MB per second, and according to SanDisk, are said to be waterproof. If you’re looking for a stocking stuffer or a cheap accessory for your new camera, these are good prices. Amazon is promoting SanDisk’s 64GB microSD card that’s officially licensed for use with the Nintendo Switch. Though at $19.99, it’s actually a far worse deal than the non-licensed alternative, which offers 128GB at $23.25. In addition to working with the Switch console, these are also a perfect fit for adding storage to Nintendo’s New 3DS and 2DS models, as well as several smartphones, including the Samsung Galaxy Note 9. SanDisk is looping a few solid state drives into its sale, as well. These make for an affordable, easy way to boost the performance in your desktop or laptop. Operations like boot times and file transfers will see the biggest benefit when upgrading to SSD over a spinning hard disk drive. The highlight of the last storage firesale on Amazon was a whopping 400GB microSD card for $100, a no-brainer for Nintendo Switch owners looking to maximize their internal storage. Maybe we’ll see that sale reappear a bit closer to Black Friday and Cyber Monday. Halloween easter eggs: Did you spot THESE hidden easter eggs for the 1978 original?